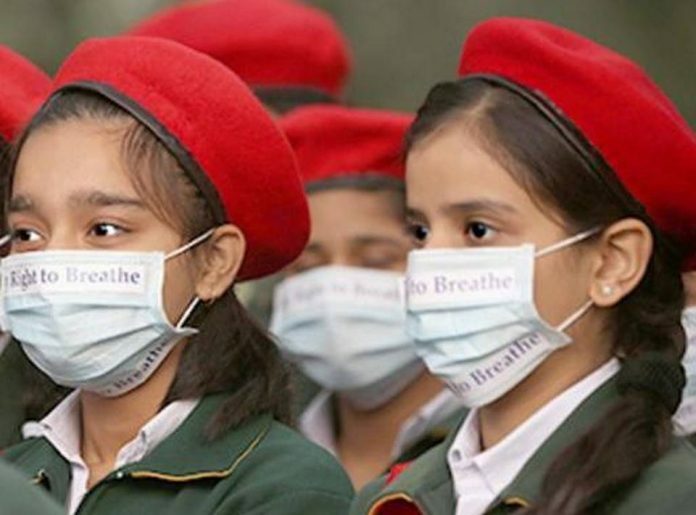 India, with 18% of the world’s population, has a disproportionately high 26% of the global premature deaths and disease burden due to air pollution. Moreover, one in eight deaths in India was attributable to air pollution in India in 2017, making it a leading risk factor for death. This is according to the first comprehensive estimates of reduction in life expectancy associated with air pollution in each State, published by the India State-Level Disease Burden Initiative, a venture of the Indian Council of Medical Research (ICMR), the Public Health Foundation of India (PHFI) and the Institute for Health Metrics and Evaluation (IHME), in collaboration with the Ministry of Health and Family Welfare, along with experts and stakeholders associated with over 100 Indian institutions. These research findings published in The Lancet Planetary Health were released on Thursday at the ICMR. The key findings from the paper include the fact that 12.4 lakh deaths in India in 2017 were due to air pollution, which included 6.7 lakh deaths due to outdoor particulate matter air pollution and 4.8 lakh deaths due to household air pollution. Over half of the deaths due to air pollution were in persons less than 70 years of age. In 2017, 77% population of India was exposed to ambient particulate matter PM2.5 above the recommended limit by the National Ambient Air Quality Standards. The report states that the highest PM2.5 exposure level was in Delhi, followed by the other north Indian States of Uttar Pradesh, Bihar and Haryana. “There is increasing evidence globally and from India about the association of air pollution with premature death and disease burden. The findings in this paper are based on all available data on air pollution that were analysed using the standardised methods of the Global Burden of Disease Study. This comprehensive effort over several years has for the first time produced what we believe are robust estimates of the health impact of outdoor and household air pollution in every State of India,” said the first author of the study, Prof. Balakrishnan, director, Department of Environmental Health Engineering, Ramachandra Institute of Higher Education and Research, Chennai. Further, the study states that the disability-adjusted life years (DALYs), attributable to air pollution in India in 2017 for major non-communicable diseases were at least as high as those attributable to tobacco use. “The average life expectancy in India would have been 1.7 years higher if the air pollution level were less than the minimal level causing health loss, with the highest increases in the northern States of Rajasthan (2.5 years), Uttar Pradesh (2.2 years) and Haryana (2.1 years),” the study says, recommending that variations between the States in the exposure to outdoor and indoor air pollution should be taken into account while planning policies to reduce this exposure and its health impact.